Hi! I’m @Leandra2848, AKA Leandra Lederman, the William W. Oliver Professor of Tax Law at Indiana University Maurer School of Law in Bloomington. I have blogged occasionally before but never as a regular contributor—much less as a member of a Surly Subgroup—so this is a real privilege! I’ve been a tax professor for 22 years, 12 of them at Maurer (minus last semester at U. Chicago). I teach Income Tax, Corporate Tax, Tax Procedure, and I run a Tax Policy Colloquium that brings 6 or 7 tax professors to Bloomington over the course of the spring semester. I’ve also taught a short course in Pamplona, Spain each of the last five years. I write both on the individual and corporate federal income tax (including a 2016 edition of Understanding Corporate Taxation, co-authored with Michelle Kwon) and on tax procedure, which includes tax administration and tax litigation. Most recently, I wrote two articles about problems facing the IRS. Much of my work relates to tax compliance/evasion issues or to the U.S. Tax Court. I also co-author the Tax Controversies: Practice and Procedure casebook with Stephen W. Mazza. Much of my writing has been influenced by law-and-economics analysis. I collect tax cartoons (here’s an example) and hope to post occasional tax humor and blog about instances of tax in popular culture. I’m also a language aficionada. I speak French and Spanish near-fluently and have been working on other foreign languages; beginning German is my current focus. I also love to take photos, so I hope to bring to the blog tax-relevant photos and insights from my travels in the U.S. and abroad. The picture above is one I took at a bus stop in Córdoba in 2014. It’s part of a series of ads against tobacco smuggling. 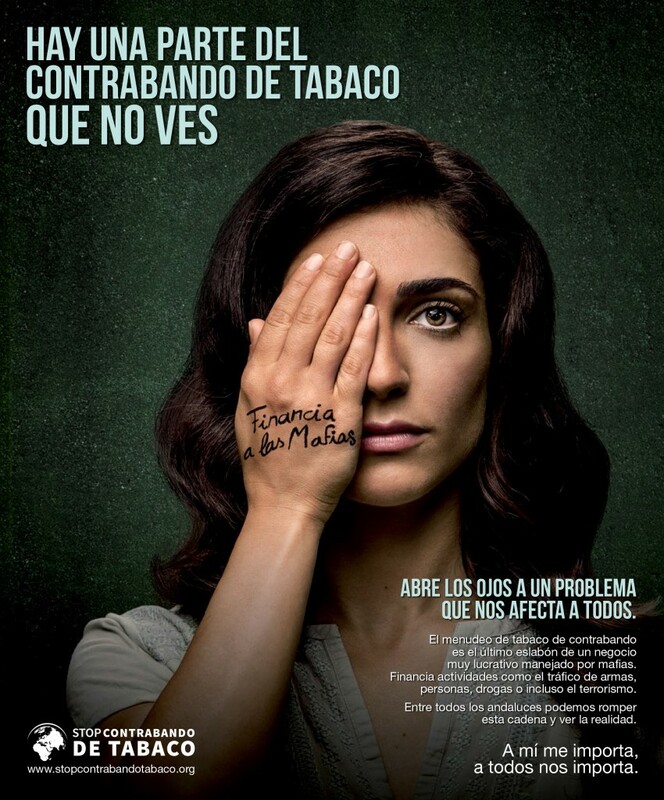 There are others, such as this one, but the image above (linked to more information about the campaign) has a strong tax-related message after the common heading “There’s a part of tobacco smuggling that you don’t see”: “You’re paying their taxes” (translations mine). As a tax compliance scholar, I was intrigued to see an ad drawing on the notion that a consumer of black-market products is bearing the taxes of the smugglers. All this to say that I’m excited to get started! A big thank-you to Shu-Yi Oei and Sam Brunson for launching this blog and inviting me to participate! Previous Previous post: Charitable Organizations and Marijuana?